The Office of Advocacy is an independent office within the Small Business Administration that is a great source for small business statistics, as well as a voice for small business owners that can express their views and issues to policy makers in DC. Today, the Office of Advocacy released an issue brief on “Peer-To-Peer Lending: A Financing Alternative for Small Businesses”. To explain a little more, Peer-To-Peer Lending or P2P is a funding model where individual investors give small personal loans online to individuals. 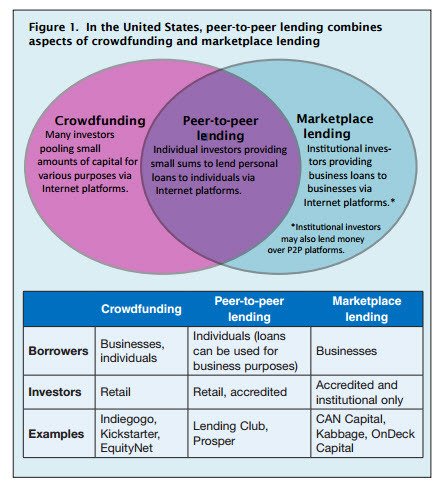 The Office of Advocacy describes P2P as a hybrid of crowdfunding and marketplace lending. The issue brief released today details the funding model and gives a side-by-side view of P2P and traditional small business financing options. It also shows how it could affect small businesses in the future, giving them more opportunity for financial growth. Read the brief to learn more. This entry was posted in Access to Capital and tagged alternative, brief, crowdfunding, DC, financial, financing, funding, funding model, growth, investors, issue brief, lending, loans, Office of Advocacy, P2P, Peer-To-Peer Lending, personal loans, SBA, Small Business, source, traditional, WIPP, women, Women in business by WIPP AKM. Bookmark the permalink.